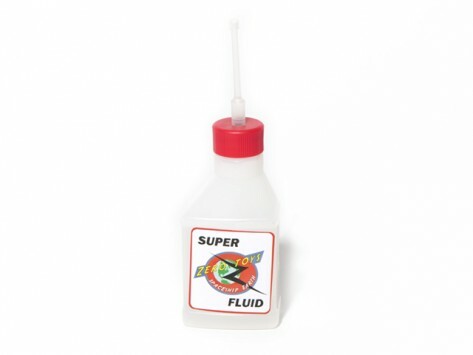 Super Zero fog fluid is an additional refill for Vapor Blaster. Dimensions (in packaging): 4.7" x 3" x 0.7"
My two six year old grandchildren love it. So do I and I am 72. If you tried to talk to kids about toroidal vortices and the mechanics behind the swirling donut-shaped rings, it might be tough to hold their attention. But if you put ray blasters in their hands and let them make their own smoke rings? Science is suddenly tons of fun. That’s the mission of Joel and Alan Aronie, two engineers who grew up inventing gadgets with the tools in their basement. The brothers never stopped tinkering, and today they run Zero Toys, which makes toys that are designed to stimulate kids’ curiosity. The brothers’ Zero Blaster produces smoke-like rings. It has a refillable reservoir that holds fog juice (a nontoxic liquid containing propylene glycol). 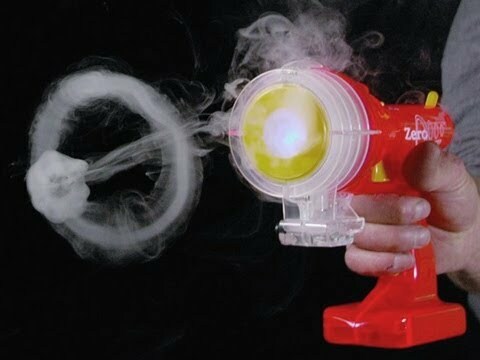 The Zero Blaster uses heat to vaporize the fog juice, and the smoke-like vapor makes it possible to see each spinning puff of air (toroidal vortex) the ray gun emits. The Zero Blaster is a quirky toy with a retro feel. A bright blue LED light illuminates the vapor rings, which measure about 2-4 inches in diameter and can travel up to 12 feet before disappearing. Kids can experiment to make the rings ricochet off other rings, or float through bigger rings. The vapor rings have a mysterious, ethereal quality that keeps kids—and adults—captivated. It’s the toy everyone wants to try.